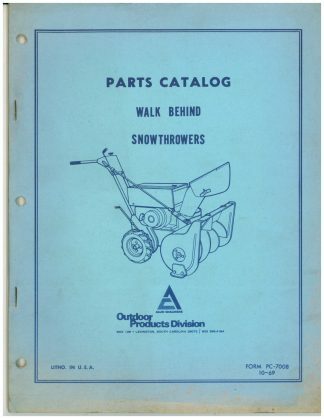 This Snowthrower Service Manual provides detailed service information, step-by-step repair instruction and maintenance specifications for popular snowthrowers made prior to 1991. 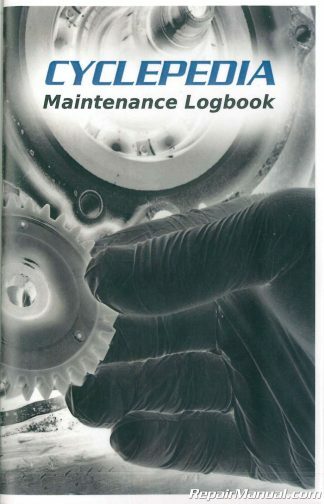 Covers: Lubrication, maintenance and adjustment procedures, engine service, transmission service and more Aircap Snow Champ, Atlas, Bolens, Craftsman, Crary Bear Cat, Cub Cadet, John Deere, Deutz-Allis, Ford, Gilson, Lawn-Boy, MTD, Montgomery Ward, Noma, J.C. Penny, Snapper, Toro, Troy-Bilt, White, and Yard-Man. 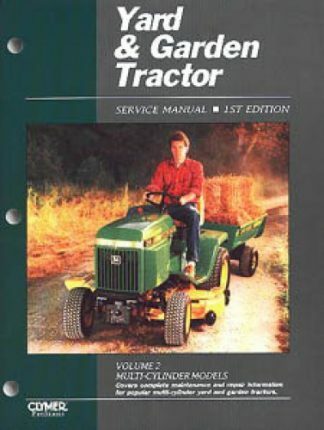 This manual also covers engines made by Briggs & Stratton, Honda, Jacobsen, and Tecumseh. 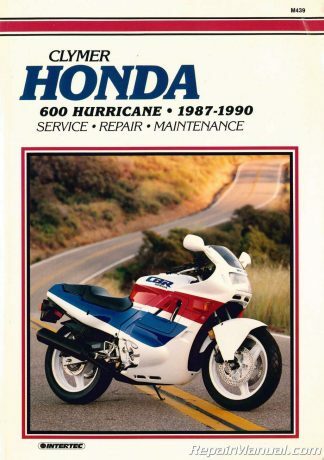 Chassis covered include: AIRCAP SNOW CHAMP – 8451, 8461, 8551, 8481, ATLAS – SN320, SN520, ESN524, 15-3200,, 15-3210, 15-5200, 15-5210, 15-5210A,, 15-5211, 15-5220, 15-5240, 15-5240A,, 15-8260, 3222, 3216E, 420T, 5230, 5250, 825T, 8250, 8280, 1032, BOLENS – 524, 625, 724, 726, 826, 832, 1032, 225, 225E, 350, 350E, 500, 500E, 322, 5210, 624, 824, 824A, 1026, 1032, CRAFTSMAN – 536884220, 536884320, 536884800, 536886500, 536884900,, 536886800, 536885900, 536885400, 536885000, 536887000, 247886510, 247886700, CRARY BEAR CAT – 624, 824, 1028, CUB CADET – 321, 420, 524, 826, 1028, JOHN DEERE – 320, 322, 520, 522, 524, DEUTZ-ALLIS – Sno-Whiz, Sno-Whiz II, 420, 522, 722, 524, 724, 828, FORD – ST-220, ST-320, ST-320B, ST-420, ST-626, ST-830, ST-524, ST-526, ST-826, ST-524A, ST-524B, ST-824B, ST-826A,, ST-826B, GILSON – ST-320, 55130, 55327, 55328, 55379,, 55380, 55036, 55091, 55131, 55008, 55037, 55066, 55092, 55132,, 55342, 55343, 55010, 55011, 55016, 55067, 55068,, 55069, 55093, 55095, 55133, 55134,, 55135, 55012, 55063, 55064, 55096, 55097,, 55136, 55137, 55340A, 55353, 55323A, 55324A, 55333B, 55334, 55350,, 55351, 55352, 55358, 55369, 55370, 55371, HOMELITE/JACOBSEN – Sno 320, 320, 320E, 420, 52006, 52011, 52012, JACOBSEN – 52628, 52629, 52632, 52633,, 52635, 52636, 52638, 52640, 52642,, HOMELITE/JACOBSEN – 524, 624, 626, 824,, 826, 830, 523, HONDA – HS35, HS50T, HS50W, HS55T, HS55W, HS55K1T,, HS55K1W, HS70T, HS70W, HS80T, HS80W INTERNATIONAL HARVESTER – 10, 265, 268, 328, LAWN-BOY – 320, 320E, ST524, ST824, ST826, ST1032, MTD – 100, 150, 151, 160, 180, 181, 190, 225, 230, 430, 600, 650, 750, 800 (Prior to 1986),, 850 (Prior to 1986), 950,, 960 (Prior to 1986), 800 (After 1985), 840, 841,, 850 (After 1985), 960 (After 1985), 440, 450, 550, 552, 586, 588, 590, MONTGOMERY WARD – TMO-35262A, TMO-35272B, TMO-35284A, TMO-35155A, TMO-35156A, TMO-35275B,, TMO-35275C, TMO-35288A, TMO-35268B, TMO-35268C, TMO-35157A NOMA, 420T, 523,825, 825T, 1033, JC PENNEY – A420TRAC, 4923, 4923A, 4924, 4924A, 4049, 4050, 4050A, 4048, 4048A, 4051, SNAPPER – 3200, 3201, 4220, 5240, 5230, 5241, 8230, 8241, 8242, 8260,, 8261, 8262, 10300S, 10301, 10302, TORO – Snow Pup, Snow Husky, Snow Master, S-140, S-200, S-620, CR 20E, CCR-1000, CCR-2000, 524,624, 724, 824, 826, 832, 1032, TROY-BILT – 5210R, 826R, WHITE – 300, 400, 500, 510, 800, 810, 1000 350 (180 & 181), 350 (190), 410, 510, 520, YARD-MAN – 31100, 31220, 31230, 31430, 31550, 31600, 31650, 31750, 31800, 31850, 31950, 31960, 31150, 31160, 31180, 31190, 31340, 31350, 31380, 31960. 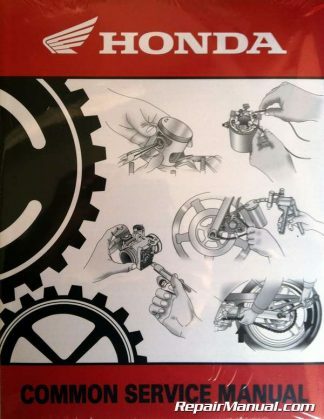 Engine covered include: BRIGGS & STRATTON, (2-STROKE) – 62030, 62033, 95700, 96700, (4-STROKE), 170000, 171000, 190000, 191000, 220000,, 250000, 251000, 252000, 253000, 6B, Early 60000, Late 60000, 8B, 80000, 81000, 82000, 92000, 93500,, 94000, 94500, 94900, 95500, there is a section on SERVICING BRIGGS & STRATTON, ACCESSORIES, BRIGGS & STRATTON DISTRIBUTORS. 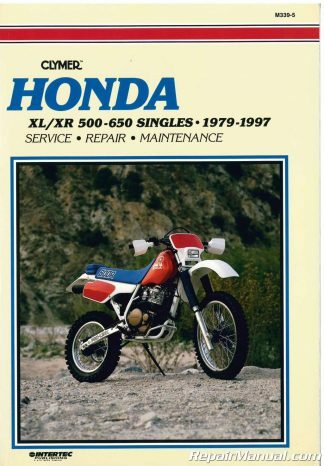 You will also find coverage for HONDA, G150, G200, G300, GX140, GX240 JACOBSEN – J501, TECUMSEH (2-STROKE) – AH520, AH600, (4-STROKE), ECH90, H35, H40, H50, H60, HH40, HH50, HS40, HS50, LV35, LAV35, LAV40, LAV50, TNT100, TNT120, TVM125, TVS90, TVS105,, TVS120, V40, VH40, VH50, HH70, HH80, HH100, HH120, HM70, HM80, HM100, TVM170, TVM195, TVM220, V80, VH70, VH80, VH100, VM70, VM80 and VM100. 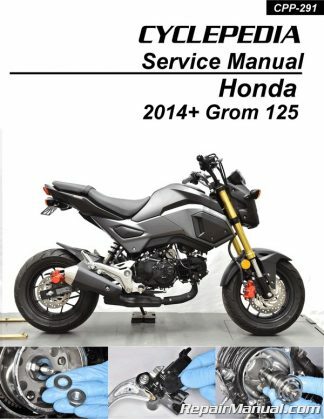 There is a section on SERVICING TECUMSEH ACCESSORIES and TECUMSEH DISTRIBUTORS. 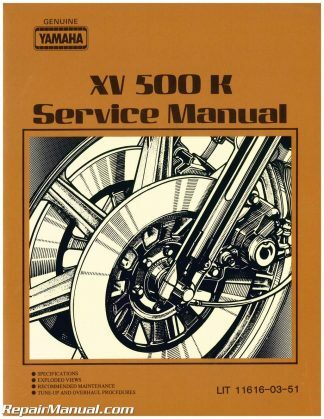 The gear transmission covered include all PEERLESS Series 700 models. 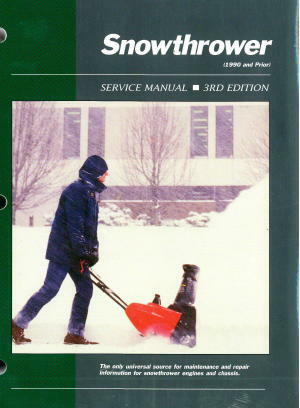 This book is loaded with information to help you keep your snowthrower running and save you money.